Every day for 14 years, I opened my eyes to the crack on the ceiling, and the tattered smears on the once firm, white walls of my two-bedroom home. Sometimes, the thought of its collapse kept me awake at night. During ferocious storms and thunders, I thought those were the last times I would live. I thought this building could no longer stand. The gray cracked facade was the reflection of the maturity and fragility of the decades-old White Building. The dark and withering appearance magnified the shameful qualities engraved within the fractures of the edifice. Once an apartment complex for civil servants, the White Building had over time become a slum, nestled in the center of the city. The dark indoor staircases and crumbling rooftop apt to be the hangouts of drug dealers and gangsters, and the northern section of the building was considered the hotspot of prostitution in the city. Where I called home was where outsiders deemed the home of the deviants. A single story had embedded in their mind: every single child in the White Building would grow up to be gangsters or prostitutes; their fathers are drug dealers and their mothers are gamblers. Because everyone has a particular story we know of a culture, a race, a community, it’s human nature to focus on the one and only story to generalize a group of population. I’ve been guilty of doing so until I’ve realized people have done the same to me and until I’ve realized a single story can annihilate one’s dignity. And I don’t share a single story with anyone. The White Building was where my family celebrated my first birthday. It was where I get my first school uniform and first picked up a book and a pencil at a very young age. It was where my aunt and uncle often asked me to read aloud magazine articles since I was six. I did not grow up with a silver spoon in my mouth. But, I got parents with unconditional love for their three children. They’ve fought through thick and thin to afford our education because they believe it is the most valuable fortune they can offer. They often say it will get me anywhere I want. To where they can’t bring me to. Seeing the white strands of hair on their resilient crown only pushes me to work hard so I can pay back their wrinkled hands and aching spines. Since I was young, there were times when I stood behind the closed door, hearing the shouts from the quarrels between my mom and my neighbors. I wanted to pull her inside, but I couldn’t. Those were the times I saw my mom’s strong will and noticed the difference between her and my dad. He doesn’t often fight back with his opponents; instead, he works to prove them wrong subtly, and kills them with kindness. I’ve learned to do a little of both: speak up for myself when I need to, and hold back when it’s not necessary to argue. My dynamic childhood in the White Building would always outlive the demolished building itself. Because the warmth I feel within my family and the lessons I learned from them is so significant, my fear of the building had eventually subsided. I might have been agitated when my neighbors and my family had disputes, but that did not take away the friendliness I sensed in the community and the memories I had there. Through these, I’ve learned to view authenticity as beauty. I might be birds of a feather with the so-called delinquents by growing up in the same community. But I clearly understand that every single resident of the White Building, no matter who they were, has their own unique and complex history that an outsider can’t fathom. We don’t flock together because they each have their stories, and I have mine. It’s been about eight months since LMRT’s last trip to Koh Seh. 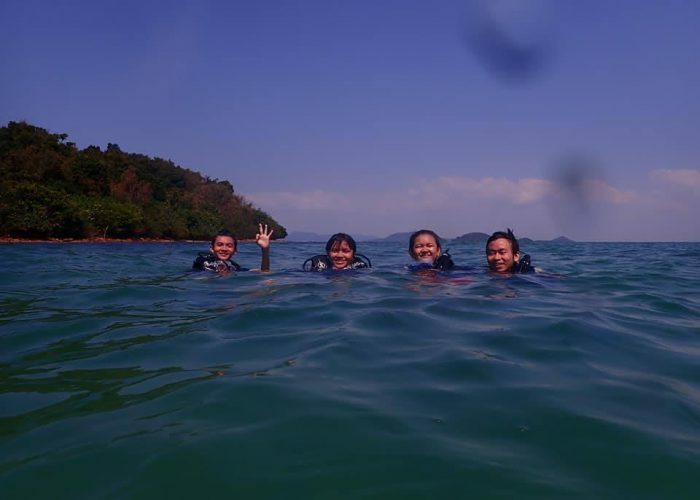 This is because the weather condition of the last half of 2018 disabled us to do our underwater surveys. Despite the wait, the water condition was still bad, meaning we couldn’t see well at our reef deployment site and couldn’t proceed on our survey. However, we got to see our block and its current condition. Unfortunately, our structure changed its shape due to, hypothetically, illegal trawling. One-third of the block was buried in silt, and one of our three cubes, placed in the middle, was under the triangular blocks. Beyond that, the triangular cluster was cut off a couple months ago. Apparently, we weren’t very satisfied with that. Nonetheless, we realized that’s science; it’s not always perfect and we can learn from failures. To account for the problem and make use of it, we have a plan to deploy the same structure, without three cubes in the middle, at a similar site to compare the effectiveness of the new structure to the old structure. Seeing batfish for the first time! 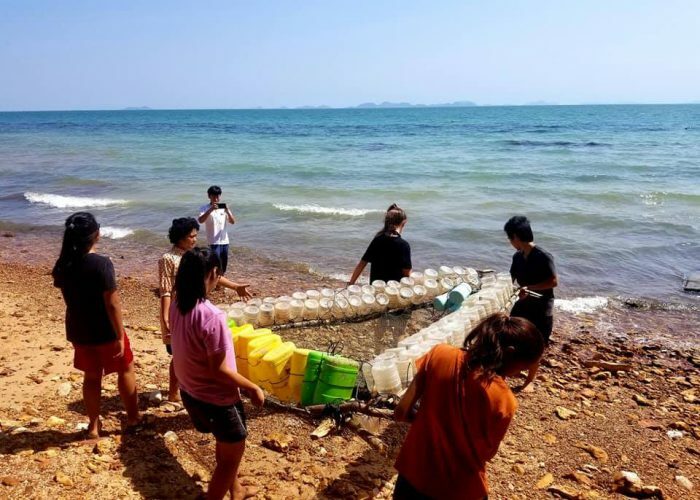 During this trip, we contributed to making a boat from plastic bottles and tested to see if it works. It turned out to be sort of like a water hammock! 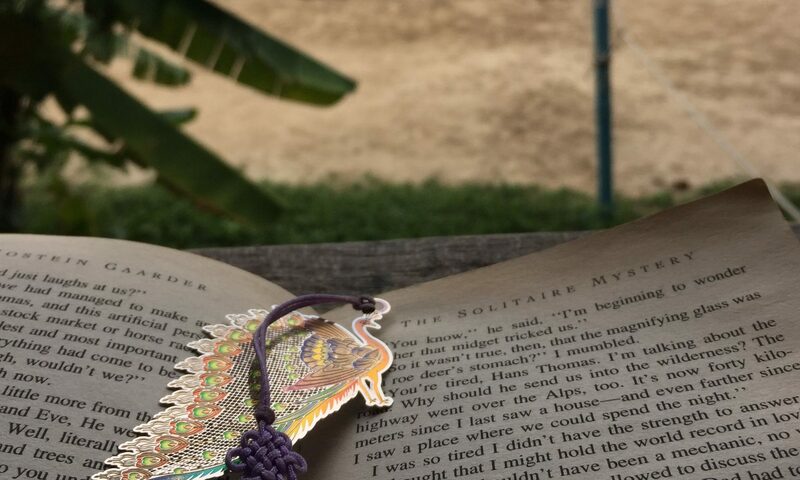 A novel — regardless of what language it’s in — is a powerful literary platform that can teach readers about a time they can’t personally experience and tell a story that may be useful for life. 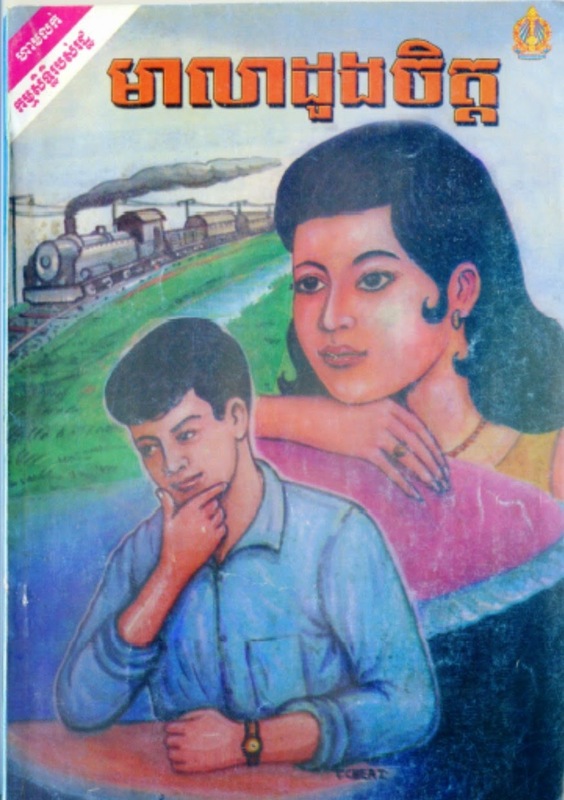 In Khmer class, we read and scrutinized the novel Mealea Doung Chet, novel set in 1939 about two lovers from two different countries with war. The novel Mealea Doung Chet depicted the Khmer society back during the French colonial era. During that time, young men got the opportunity to pursue education, just like the male protagonist Tikheavuth. It was also a time when people in the rural area heavily depended on agriculture. In addition, the story took place during World War II which the protectorate France was also involved in. Besides, Cambodia and Thailand were in serious territorial dispute, and as a result, Cambodia lost a part of its land, but soon after obtained it back. Not only did the novel illustrated the economic and political aspect, but also the religious side. Mostly like today, Cambodians during that time heavily believed in Buddhism and other spiritual beliefs. The legendary author Nou Hach mainly reflected love across different nations in the novel. The two young people, Tikheavuth fell in love with Chann Mony, from Thailand, despite the fact that she’s from an enemy country, and the love became mutual over time. However, the glory did not last when Thailand started invading Cambodia. Tikheavuth mistakenly accused Chann Mony and her family of being spies and their love terminated. Despite the challenges and distance they’ve experienced for years, the young lovers cleared the misunderstanding and reconciled when the war ended. To see a summary of the novel in English, click here. In the second round of managing Liger Edge, we did something a little different. Diversity is a value that Liger has, so it only makes more sense if we reflect that in the newspaper. This means we extended the writing responsibility beyond the Liger Edge team to other senior students. Students in the senior cohort were all required to write a Liger Edge article as part of their literacy class. Each of them signed up to write at least one article. They had the option to write it in any weeks or category they wanted and due dates are assigned to them. So what did I learn from that experience as the editor in chief? It takes patience to be a facilitator. This experience allowed me to briefly put myself in learning facilitators’ shoes. This experience is similar to giving an assignment to students, except this is me giving it to my classmates. I had to keep in mind giving clear instructions for everyone to avoid miscommunication. I realized that even with instructions given in a few forms, we can’t fully escape miscommunication and questions that can be answered from those instructions. So I simply learned to be more patient. A lot of people don’t like to write. Even though I find writing interesting, many don’t agree with me. When the assignment was given to the students, many of them didn’t look forward to it. There needed to be an incentive to motivate them to write, and in this case, it was the points for literacy class. Since Liger is not a point-driven academy, we don’t really like that idea. So we’re trying to find a better way to motivate more students to enjoy writing. Communication is key. Since last round of being Liger Edge, I knew I had to communicate with many people. This round, more people are involved in the project, meaning I had to learn to communicate better with more people. Often times, I reminded the writer when their articles are due and communicate with them when there are edits that they need to make. Beside editing articles, I’ve also written some myself this round. 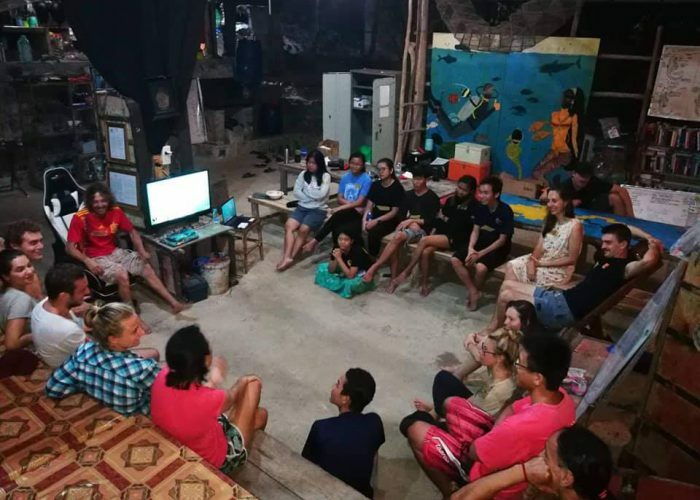 Click here to see an article I’ve written about clean energy in Cambodia. In the professional field, whether it is school or work, it is important to be able to write a concise and purposeful formal email. In this world of networking, the ability to communicate well through writing can be really helpful in creating a good first impression with someone — a potential mentor, business partner or employer — since a well-written email may indicate professionalism and dedication. The second round of literacy was all about effective communication, and email etiquette was part of the course. An important takeaway for me about writing an email was to keep the email concise and professional. We should consider that the recipient is probably really busy and we are asking them to spend time on us, and by keeping the email to the point, we’re doing us and them a great favor. I hope this email finds you well. 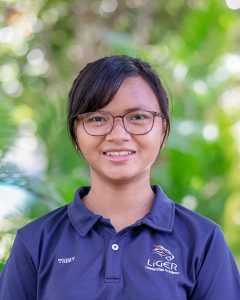 My name is Thathiny Tep, from the Liger Leadership Academy in Phnom Penh. I am writing this email regarding the internship opportunity offered by your fashion design company, Blossom. I heard briefly about this opportunity from my learning facilitator here at Liger. I am interested in the position assistant market researcher and believe that position is suitable for me. I know that Blossom is known as one of the most successful business in Cambodia and it would be a great pleasure if I get to experience working there. However, I’m still unclear about the requirements for the applicants since you haven’t had much information about this opportunity on your website, so I’m writing to request for further information and how to apply. I am looking forward to your response regarding my inquiries and applying for the position. In pre-calculus, we investigate many topics in the subject, one of which is graphing polynomials. Above is the graph of the equation (x-2)/(x2-2x-8). Using the graph, we can analyze many characteristics of the polynomial. First, we can identify the y and the x-intercepts, when x and y equal zero, respectively. We can also recognize the vertical asymptotes, which is the value of x that the graph never touches. In this case, the vertical asymptotes are when x equals to -2 and 4. We can also describe the behavior of the graph as x approaches the vertical asymptote from different directions. For instance, as x approaches -2 from the negative side (left), y approaches negative infinity (-∞), and as x approaches -2 from the positive side (right), y approaches positive infinity (+∞). The same behavior applies to when x approaches 4 from both directions. 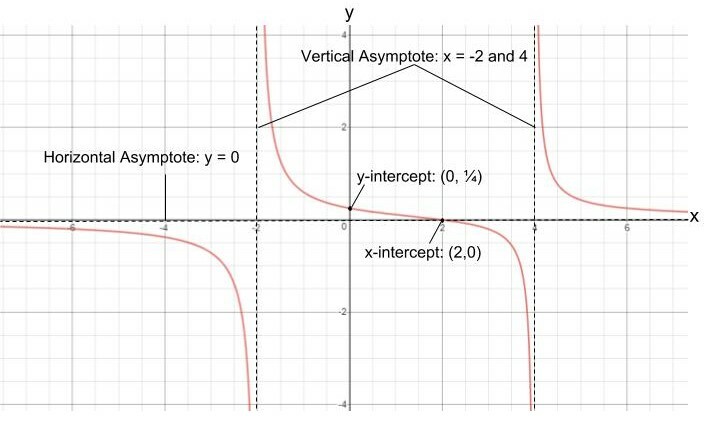 The horizontal asymptote can also be found using this graph. As seen above, the graph never touches the point y equals 0. The behavior of the graph can be observed as y approaches zero from the negative (below) and positive (above) side. In this case, as y approaches zero from below, x approaches -∞ and as y approaches zero from above, x approaches +∞. When plant cells absorb or lose water, the water undergoes the process called osmosis. Osmosis is the type of diffusion describing the movement of water from a hypotonic (low solute concentration) environment to a hypertonic (high solute concentration) one. The term water potential refers to the likelihood of water molecules transporting to another environment. A more dilute solution would have less water potential than that with a high solute concentration. Water molecules move from high to low water potential. Through this process, the water molecules can transport with them the solutes in forms of molecules or ion. In AP biology, we conducted an experiment where green beans were soaked in solutions with different salinities and the effect of osmosis on the vegetable was observed. By soaking the beans in different solutions, there were some physical, textural and taste changes to the beans. 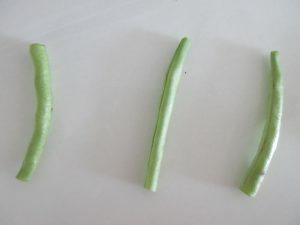 In the freshwater, the bean became fresher, with a little lighter skin color and slightly thicker skin. It also became a little more crunchy (however less flexible), less sweet and more watery in term of texture and taste. This might be due to the access of more water in the bean. The bean in 20g/L saltwater became darker with some lighter-colored spots. It was softer and more flexible than the one in freshwater. There was no sweetness in the beans, and it became slightly salty and a little less watery. The bean in the 40g/L saltwater has a similar quality to the one in the 20g/L saltwater solution, except it was more flexible and less watery. As mentioned, water movement is dependent on the solute of an environment. This means that the water molecule would move to the environment with more solute. In this case, the tissue cell of the green beans contain more solute than the freshwater solution, therefore, causing the water to move into the plant cells. On the other hand, the saltwater has more solute than in the plant tissue so the water from the plant would move to the more solute environment. This instance is similar to how some organisms became dehydrated in seawater because seawater is more solute than their body. When we are slightly ill, we often take over-the-counter drugs and often times, they relief our symptoms, but sometimes induce adverse side-effects. So, it’s important to know the characteristics of the medicine we take, and how it may impact us. In one of our chemistry classes, we investigated the solubility and acidity of over-the-counter medicine—aspirin, Tylenol, Alka-seltzer, and tums—in different solvents. A drug has to be soluble in order for the body tissues to easily absorb it. Our body should be able to absorb the medication easily for it to be effective. In addition, when drugs are not soluble, it is possible that there’s a residue of that drug in our body, causing adverse effects to our body. I think that is why we usually take medication along with water since more of those drugs are soluble with that solvent. 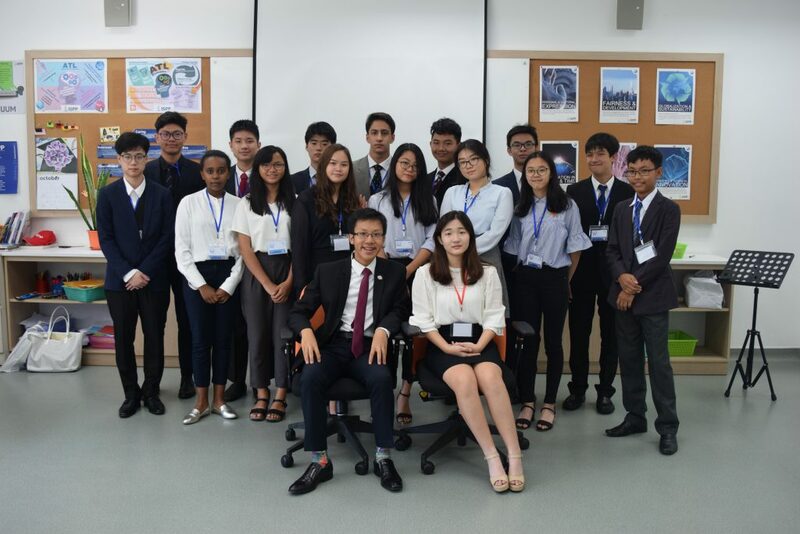 Friday 26th October marked the first day of ISPP Model United Nation (MUN) 2018. From 16 different schools and three countries, 400 students gathered to discussed global issues in this event. I was honored to be one of them. In this year’s MUN, I attended the security council. Even though this committee is known to be the most serious and quite intimidating, I took on the challenge to try something new. In this committee, we discussed the security issues in the Democratic Republic of Congo, Ukraine, and Libya. 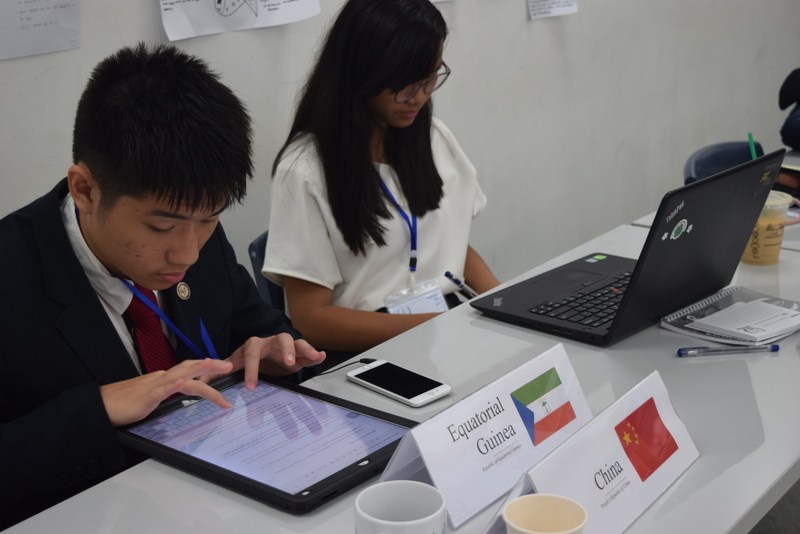 Representing the delegate of Kazakhstan, I, along with the delegate of Equatorial Guinea, wrote a resolution on the situation the Democratic Republic of Congo. Typically, there are six or seven delegates working on a resolution. So, it was really challenging for the two of us to write one whole resolution. We ended with a completed resolution with nine operative clauses (solutions). It was really tough debating in the security council. Many experienced delegated looked for resolution with good intention, which we had, as well as clear methods of how those solutions can be established. Since it was my first time in this council, my solutions did not include detailed procedures. This was why the resolution did not pass when all delegates in the committee vote on it. Despite the fact that this particular MUN taught me a lot, I discover that discussing security is not my thing. I flashed my memory back to last year’s conference when I was in the environmental council, and how I enjoyed it more. However, this doesn’t make the world’s security issue less important to me. In literacy essential, we examined the topic of American history as our first unit. Using the platform CommonLit and other resources, we dissected the speech “Give Me Liberty, Give Me Death,” understood the causes of American Civil War, analyzed the Great Depression and etc, while also expanded our vocabulary usage and studied grammatical concepts. At the end of the term, we were able to choose our final assessment project. I chose to write a rhetorical analysis essay on President Franklin Delano Roosevelt first inaugural address “Only Thing We Have to Fear Is Fear Itself.” Below is the essay I’ve written about how and why FDR used the rhetorical appeals in his speech. Starting in 1929, one of the most tragic economic crisis, the Great Depression, occurred. This catastrophe caused many citizens to be unemployed and bank loans were halted. However, when President Franklin Delano Roosevelt (FDR) was elected in 1932, he promised to bring America out of the depression by providing jobs to citizens and strengthening America’s policy. In his inaugural address — delivered on March 4th, 1933 — President FDR explained the economic issues that America was facing and presented his solutions to the audience. Throughout his rousing speech, FDR offered logical solutions about the problems arisen in the United States from 1929 to 1939. He projected his speech in a unifying language that built his credibility to “fix” America and reassure Americans to believe through government involvement and collaboration, America could recover. Throughout his speech, President FDR used the logos appeal to describe the problem America faced and the reason behind his proposed solutions to reform the US Constitution. FDR explained the dire condition of the economy concerning America to reinforce the importance of his speech. He elaborated on the problem by stating, “values have shrunken to fantastic levels; taxes have risen; our ability to pay has fallen; government of all kinds is faced by serious curtailment of income…” He also proved his solutions would work by asserting, “we are stricken by no plague of locusts,” and “our Constitution is so simple and practical that it is possible always to meet extraordinary needs by changes in emphasis and arrangement without loss of essential form.” These logical reasons persuaded the audience that his resolutions were necessary and had the ability to pull America out of the Great Depression. In addition to the appeal to logic, President Roosevelt used ethos by communicating in phrases that built his reliability with his audience and guaranteed he had the ability to heal his country. He assured the audience that he will solve the economic issue of his country by claiming, “I shall spare no effort to restore world trade by international economic readjustment, but the emergency at home cannot wait on that accomplishment.” Later in his speech, he went on to say, “for the trust reposed in me, I will return the courage and the devotion that benefit the time. I can do no less,” which further ensure his audience. With these promises, President Franklin Roosevelt had made his citizens believed that he would support them. Similarly, FDR established a relationship with his citizens by using pronouns such as “we” and “our,” and called his citizens to collaborate with the government in order to build up the trust for him. He emotionally conveyed, “we face the arduous days that lie before us in the warm courage of the national unity.” With this he called the citizens to action by pleading, “if I read the temper of our people correctly, we now realize as we have never realized before our interdependence on each other; that we can not merely take but we must give as well.” By entreating this, he emphasized the importance of collaboration to both the citizens and the government, therefore, convinced Americans to rely on him while also cooperate. On the whole, President Franklin Delano Roosevelt effectively delivered his first inaugural speech with rhetorical appeals such as logos, ethos, and pathos. His influential speech is still engraved in American citizens today. Besides, he did not just present his solutions in his speech but also execute them to action. Many of the policies that were established during his time in office still serve Americans today, and this is part of the reason why he remains one of the most respected American presidents. Hello and Welcome to my portfolio! My name is Thathiny, commonly known as Thiny (Tee Nee). I'm 15 years old and I'm from Phnom Penh, the Capital of Cambodia. I've been at the Liger Leadership Academy since I was nine years-old. This place has shaped me to be a more confident person and a better thinker. Please click on the image to know more about me!